Yes…the unknown that is 2011 can only bring what we take into it. At this moment in his solo journey this message from Yoda becomes all the more clear to Luke as he has a vision of himself battling Darth Vader (our darkness, of course) and seeing himself as Vader. So how can we apply this to our own experience of 2011? Will you battle with your dark side and other dark forces, or will you step into the vastness of the New Year with light and lightness? Luke’s Light Saber never left his side and neither should ours. What is our Light Saber, you may ask? Another way our Light Saber can serve us is by helping us to stay on our path even when others want to deter us. In Star Wars, this is done humorously by Lea, Luke, and others, when they shut down C3PO, whose typical “negative chatter” drives them crazy. Do you have a few C3POs in your life who may have good intentions but drive too much fear and negativity your way? Yes, we can shut them off. It’s a choice. It’s that easy. We can thank them for their opinions and simply move forward with our Light Sabers as we’ve designed them. 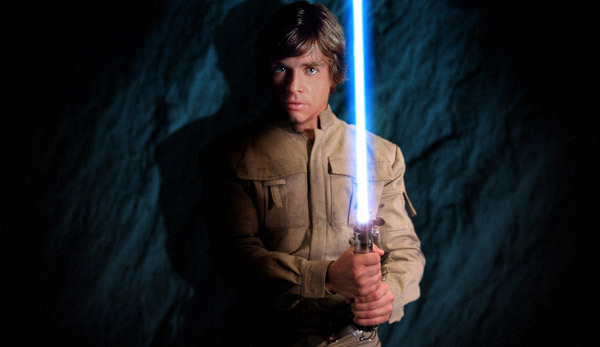 How does your Light Saber work for you and how can you power it up in 2011? In closing, we cannot experience what we don’t have or don’t see in ourselves. Take the time now to decide what you want to bring with you into the New Year. It’s a powerful ritual. Think about what you want to see and experience in 2011 and begin to bring it to life, leaving all the rest behind. With this Inner Force…our Light Sabers…this scary, unknown path will be illuminated. May your light shine brightly for you in 2011, dear Jedi. So happy that you enjoyed it! Thanks for always taking the time to read my work. Love you!! Hi Deb! Thanks so much for reading and commenting. Here’s wishing you a magical year! Miss ya lots!